Join Artists Alliance Inc. and Bike New York for a meditative ride inspired by the works and life of artist James Lee Byars, designed and led by artist Weronika Trojanska. 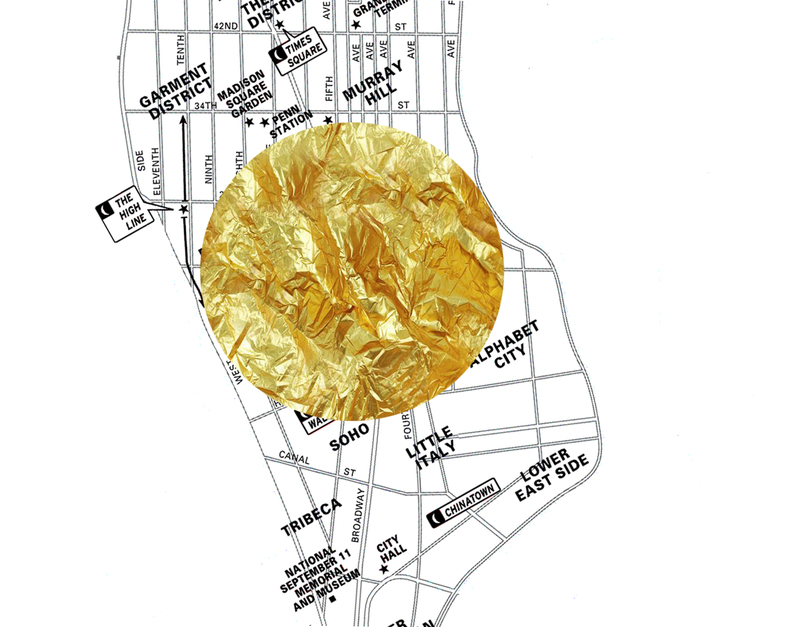 Taking Byars’ artistic practice and persona as points of departure, participants in Trojanska’s ride will collectively attempt the futile act of drawing a circle in the great geometric grid that is Manhattan. This 8-mile ride will begin and end at 222 Bowery, the former studio of Mark Rothko–one of the most influential figures in modern art and a lifelong source of inspiration for Byars. 60 years ago, “the creator of art that lived in a moment” American artist James Lee Byars hitchhiked from his hometown of Detroit to New York City, hoping to meet the renowned painter Mark Rothko, whose sublime work had made a lasting impression on Byars. Transfixed by the idea of perfection, and influenced by Zen and Noh rituals, Byars was a master of transforming abstract thought into action, shaping his persona and career into a continuous performance. Taking Byar’s artistic practice and persona as points of departure, participants in Trojanska’s ride will collectively attempt the futile act of drawing a circle in the great geometric grid that is Manhattan. Beginning and ending at 222 Bowery, the site of Rothko’s studio in 1957 when Byars arrived in NYC, riders will senselessly “circle the square” of the city’s grid—a utopic and liberating gesture that allows the group (collectively and alone) to re-appropriate and re- define the outline of the urban landscape. As with Byars’ works, a circle not only represents a perfect geometrical shape that carries symbolic value, but it represents what’s ephemeral and often intimate; so too, in Trojanska’s ride, the circle disrupts the functional logic of the urban grid, revealing a mutable space for introspection and exchange. At the start of the ride, each rider will receive hand-made pieces of paper, on which they will be asked to reflect on their experiences, thoughts, and ideas (or their lack thereof) throughout the ride. Stopping four times at pre-determined locations, riders will write, draw, and respond to their experiences. At the conclusion of the ride, participants will be asked to give their notes to Trojanska who will then compose the collective reflections into a small edition book. Copies of the book will be mailed to each ride participant. For the last few years, Weronika Trojanska has been collecting other people’s handwriting, moving or speaking in order to examine how her body and mind can become a biography of someone else – by embodying different aspects of other artists’ life in herself and work. When the “I” can be a “storage” for elements of other people lives, the Self becomes a Polyphonic Autobiography. It requires constant changes and implies time, involvement and obsession. It’s a method that positions the artist within the other person’s biography, trying to catch the essence of someone else’s features and inhabit it by transcribing the gesture (reproducing, adapting and learning) by which means it becomes a part of her. It might be seen as a way of borrowing and going further – appropriation. Could this be a way to avoid destruction and oblivion (thinking about art works that are kept forgotten in a museum storage or the biography as a way of preservation)? If the Self could be perceived as a collection – is the body a museum? Is it possible to make a retrospective exhibition then?